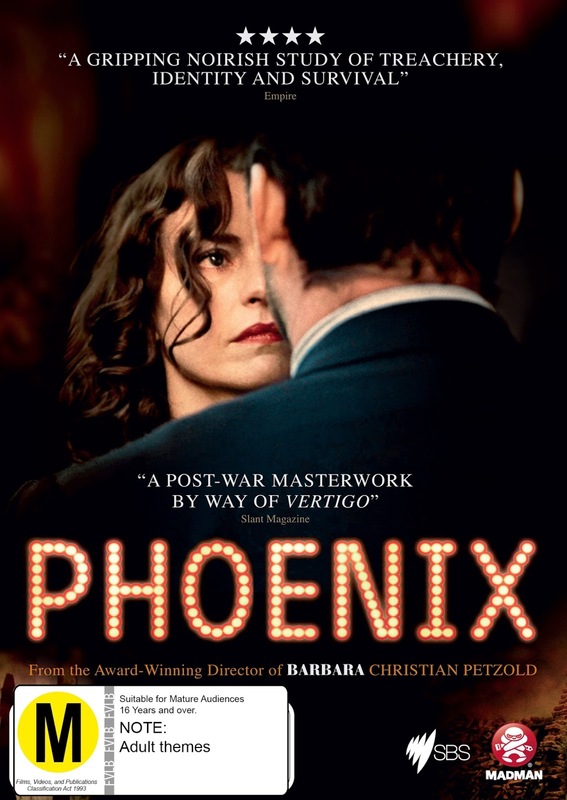 From the director of the critically acclaimed Barbara, Phoenix is a tale that aims for powerful and gets there - for the most part. 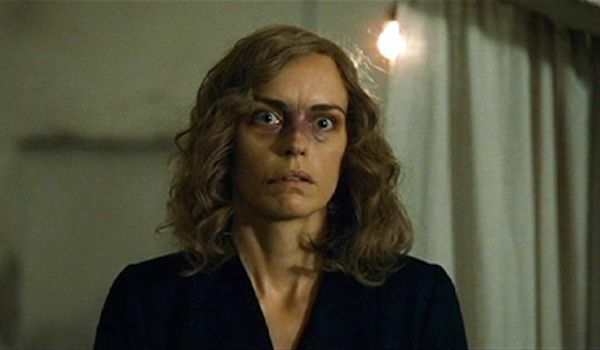 Hoss plays Nelly, a survivor of the concentration camps, who's badly disfigured and needs reconstruction surgery after the war to start to rebuild her life. Choosing to ignore surgeons' advice and seeking her own face be restored, Nelly's determined to find her husband Johnny, who was arrested the same time she was and the thought of whom kept her going in the camps. However, Johnny didn't sustain that hope and believed she was dead, killed at the hands of the Nazis. But what Petzold does is strive for subtlety and for a more intimate drama that really becomes more about Johnny and Nelly than it does its global implications, which is where the suspension and suspense start to diverge. 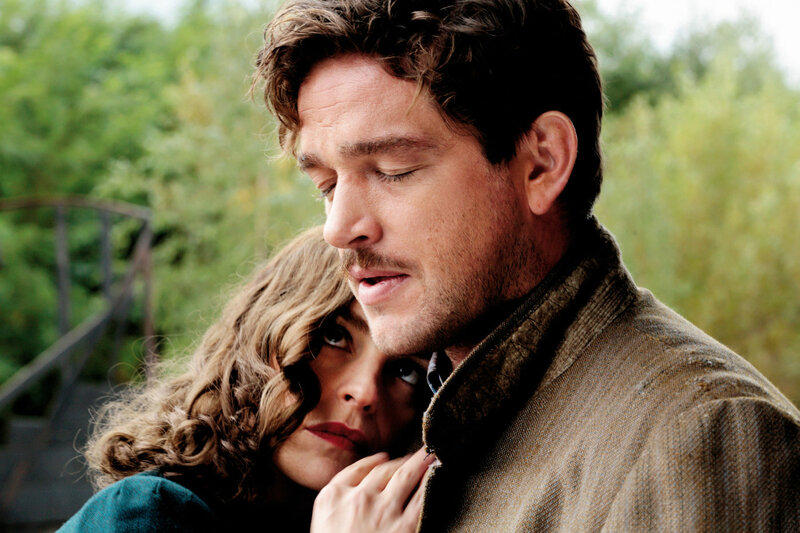 By scattering elements through the story of a post World War II life and of Jews trying to deal with their PTSD and of a nation trying to rebuild, but by concentrating on the struggle between the duo, Petzold creates a film that's as much Hitchcock as it is post-Holocaust tale. Evocatively lit and carefully choreographed, this is a film that relies on its cinematography for its atmosphere and one which demonstrates a proliferation of victims by concentrating on a singular one. But it's also a story which requires a leap of faith that Johnny wouldn't become suspicious of Nelly and the incredible coincidence that the tale pivots on. Granted, it's the stuff of film noir, but Phoenix doesn't quite convince on that front and the eventual denouement of the piece lacks the real shock factor that it should have. And nowhere is this more evident than in Lene's ultimate fate, coming as it does like a shot out of the blue and with no resonance. 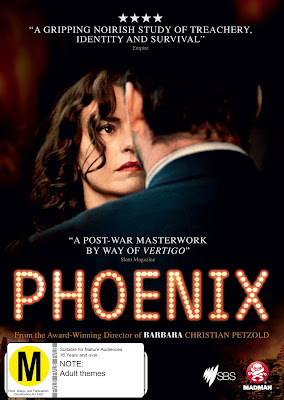 If anything, Phoenix is more of a film of survivors, of trying to find one's way again and of a nation trying to find a new face, as well as an individual. It's here that the power of Phoenix lies and it's here that the story is perhaps more desperate to be told. As it is, Phoenix is beautifully and masterfully executed, but one can't help but feel its vision should have been better placed.